KETO…it’s a thing, isn’t it? Everyone is talking about Keto, and you may be wondering why? 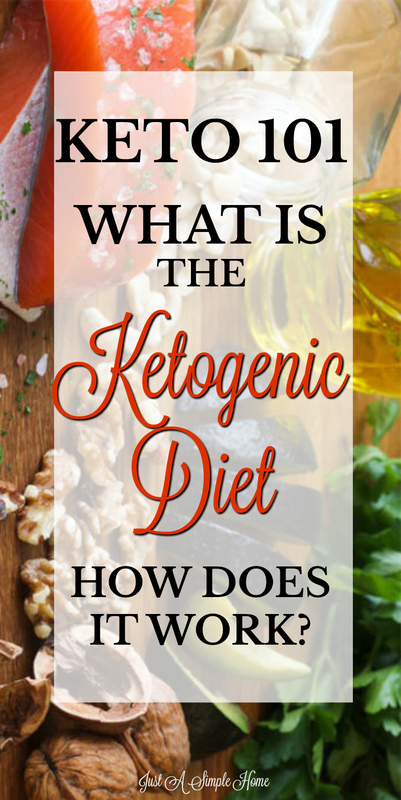 What is the deal with the Ketogenic diet and how does it work? First, you should know that I don’t consider the Ketogenic diet an actual diet…I don’t diet. Diets are temporary and often don’t teach what really needs to be taught. This is a lifestyle. It is the way our ancestors ate and a way we should go back to. A ketogenic diet is a low-carb, high-fat, adequate protein diet that was initially developed in the ’20s to help people with neurological diseases such as epilepsy. On a ketogenic diet, you’re attempting to get your body into ketosis, which is a metabolic state where you begin to use fat as your primary source of fuel, instead of carbs. If you are following the standard American diet, your body normally relies on carbs as the first source of energy. Carbs are broken down into glucose when you eat them, which triggers the production of insulin, a hormone that tells your cells to use the sugar for energy now or store it for use later. When you switch to eating very limited carbs, your body breaks down fatty acids from fat stores and forms ketones, which are released into the bloodstream by the liver. Ketosis occurs when blood ketones are higher than normal. Ketosis is a side effect of fasting. To trigger ketosis in your body, you would need to fast for about three days. Another way to do that is to decrease the amount of carbohydrates in your diet and increase the amount of fat. So a ketogenic diet — one that is very high in fat with some protein and very little carbohydrates — can be used to get your body into ketosis. To start ketosis and keep it going, you’ll have to eat less than 50 grams of carbohydrate per day, which is about 5 to 10 percent of your overall calories for the day. Standard ketogenic diet: Macronutrient breakdown: 75 percent fat, 15-20 percent protein, 5-10 percent carbs. The first few weeks following a Ketogenic diet will be hard. Your body needs to adapt to using a different fuel source as its’ primary source of energy. You may experience what is known as the Keto Flu, where you experience a loss of strength and energy and feel almost ill, until your body learns to use fats for fuel. I use Exogenous Ketones to help my body get into Ketosis within one hour…I am a busy mom and my diet isn’t perfect! This helps me get all the benefits of being in Ketosis without having to stress over it. If you are interested, you could start with a 10 Day Experience to see for yourself. I have lost over 70 pounds following a Keto diet and using Exogenous Ketones. People who follow the Ketogenic diet often report large amounts of weight loss in a short period of time, usually in the first couple weeks. However, this initial weight loss is usually water weight. Carbs hold on to water. When you drastically reduce your carb consumption, it is naturally that you will lose water weight that your cells have been holding on to. When you are eating high amounts of healthy fats, your brain tells your body that you are satisfied, which means you will end up eating less calories as a by-product. The Ketogenic may not be for anyone, but I do believe most people can benefit from it. If you have any pre-existing health conditions, please do your own research and consult a physician, of course. I HAVE A FREE COMMUNITY FOR MOMS TO LEARN MORE AND GET SUPPORT WITH THEIR KETO JOURNEY! CLICK THE PHOTO TO JOIN US! Yes!!! I’ve lost almost 38 pounds with keto, and my type 1 diabetes got infinitely easier to manage! I love bacon. I’ve heard of this before, but never really understood it. It definitely seems like a total lifestyle change. Do you find it challenging to live this way? Do you ever get to eat out?